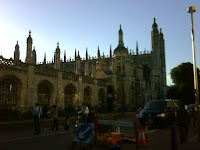 Vis-à-vis The King´s College in Cambridge, UK, is The Cambridge Chop House. Chopsticks or lamb chops? 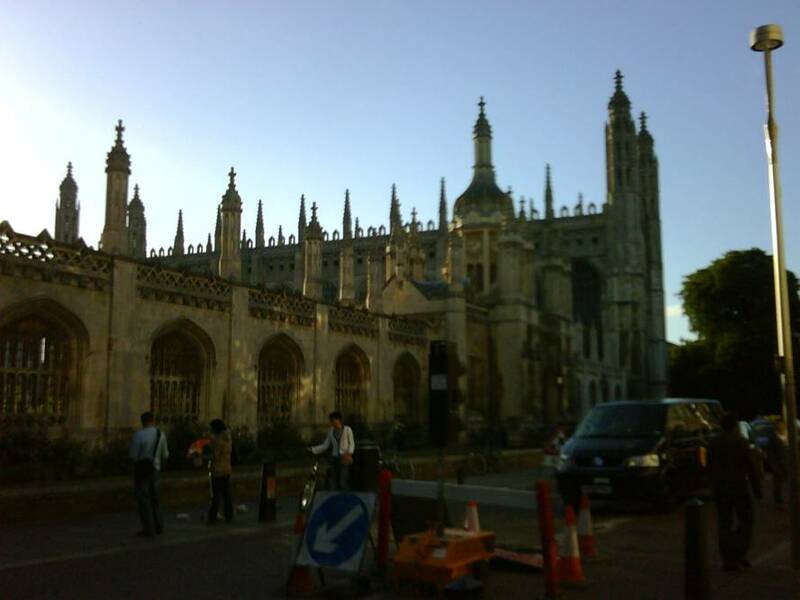 This historical spot in the university town is specialising in traditional English food. A cosy bar on the ground floor to meet with friends or just watch the professors, students, Deans, librarians, university press publicists or tourists walk by. The dining rooms form a little honeycomb labyrinth downstairs. People taller than 1.75cm watch out for the low doorways if you don’t want to have your eyebrow stitched. The service is very friendly and competent. One can see that they know the menu, have tried the dishes and are proud to serve the food. 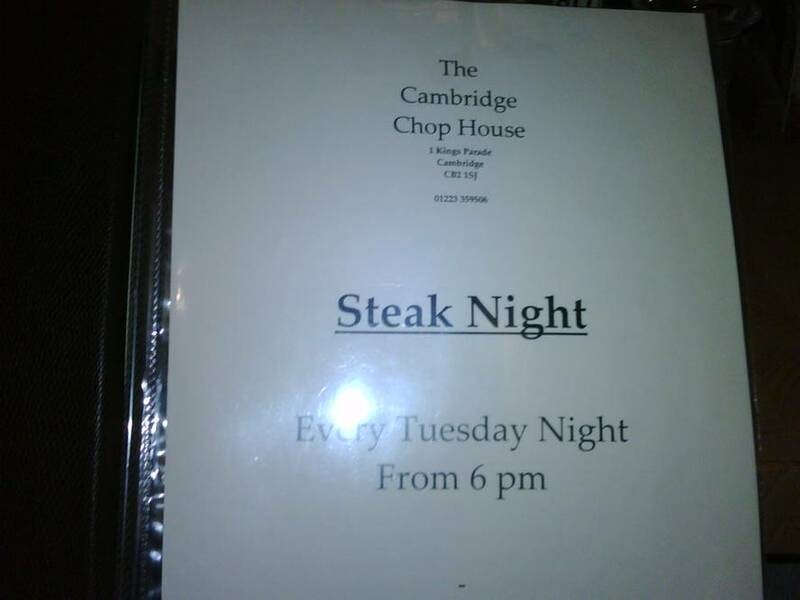 If you happen to visit on a Tuesday you better be a meat lover, because Tuesday is Steak Night. The portions justify the special evening. In any case the menu has sufficient choice to cater for different tastes. To whet the appetite while you are waiting for your food they offer pork cracklings with apple mousse or ½ pound of prawns that one can shell should the conversation be slow. Starters: The starter list has 5-6 dishes to choose from. The four scallops with black pudding and leeks is a surprisingly fresh taste combination between the succulent scallop, the spicy tingling of the black pudding and the oniony leek present in the background. A gastronomic delight for some 7£. I followed on to calf’s liver with potato-horseradish mash, bacon, greens and a dark sauce with marinated red onion. To the credit of the kitchen I asked for medium and I received the right pink medium. The steak next to me was served with the same right doneness. Mixed grill promised and delivered a rich plate of different steaks, bacon and house-made sausages. 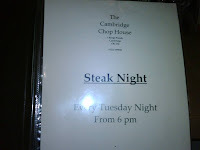 Main courses, also steaks, are around 16-24£. The connoisseurs of the English pudding tradition, knowingly and mentally (because physically it is a challenge) leave some space in stomach for, right … the pudding. I was sceptical to try any mainly because I had already eaten sufficiently, but when in Rome do as the Romans do. 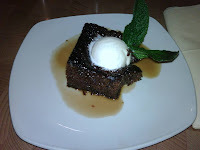 The decision is not to be regretted: their house made sticky toffee pudding is a master class amongst the desserts. The warm, almost hot spongy sticky toffee pudding served with a cold vanilla ice-cream indulges the palate with a perfectly complementing contrast…for a while. I recommend eating as slowly as the ice allows to prolong that while. The only minor criticism would be to have the fresh mint leaves slightly smaller and give them a chance to be part of the dessert rather than the huge leaves as the decoration. This pudding has made it to my top 10 restaurant desserts. The price £5.50. A digestive walk, admiring the centuries old historic city where the colleges still follow the old rules and tradition, attempts to balance the bodily satiation with some mental academic aura.